Customize a cute and funny party sash for the bachelorette party! All aboard the "hot mess express"! 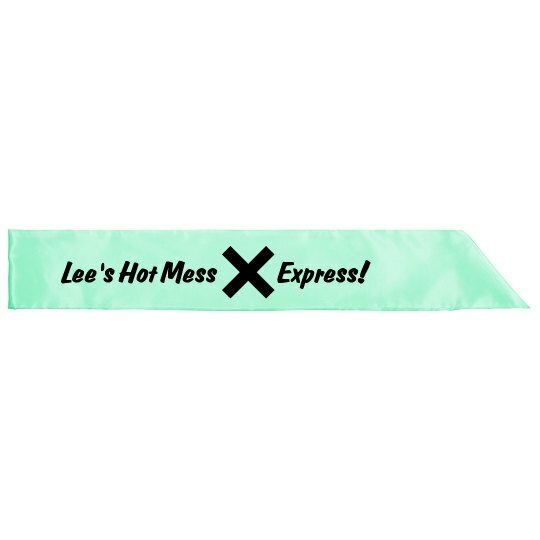 Custom Text: Lee's Hot Mess | Express!